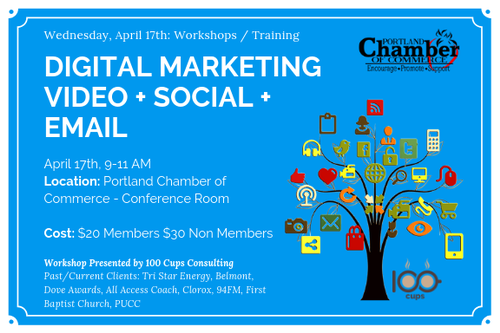 In this workshop presented by Jason Elkins from 100 Cups Consulting, you will learn video, social & email marketing techniques you can use today. Jason will cover how business leaders can take advantage of social media and other digital platforms to reach more people and sell more products & services. You'll also learn how to create your own marketing calendar and be efficient & effective in your time spent marketing.